Hal performs a wide variety of songs and styles on acoustic and electric guitars, both as a solo performer or one-man-band. He's personable, talented, appealling to all ages and can provide a great show in any environment. Whether its a bar or a banquet hall, a wedding, anniversary, birthday or backyard bash, you'll find Hal to be most accommodating performing all your favorite rock, pop, soul and country and more! 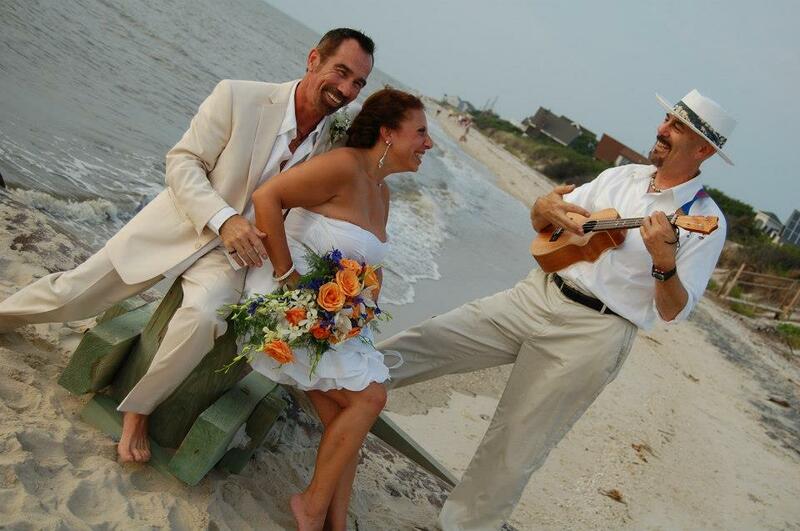 If you're looking for an accomplished ukulele player to perform an island-style ceremony, Hal Aaron is the Big Kahuna. He performs everything from "Over the Rainbow/Wonderful World" (Iz style) to Christmas favorites such as Mele Kalikimaka and pop hits such as Hey Soul Sister and Just The Way You Are by Bruno Mars. Anywhere there is live music, you'll find Hal Aaron.... Restaurants, bars, concert halls, coffee houses, country clubs, living rooms, backyards, block parties, etc. - no venue is too small, no stage is too large. Contact me and let's talk about your event!